According to an article in The Telegraph online, research has shown the safety of elderly drivers and also the huge importance driving has in their lives. Research from Swansea University’s Center for Innovative Ageing has found that elderly drivers are safe and stopping the over 70’s from driving could shorten their life span. 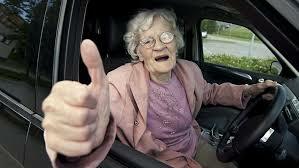 Compared with young men between the ages of 17 to 21 the elderly are 4 times LESS likely to cause accidents. A great bit of research supporting the elderly in an area where limiting their choices will impact on quality of life as the loss of independence impacts harshly on many areas of their lives.